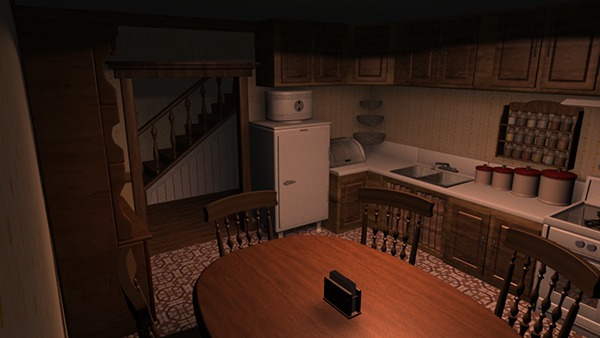 This Kitchen scene was modeled in Maya 2010-2011. Out of the five scenes in my film, this location was supposed to depict almost like an interrogation room, though for this retouched version, I making it a typical warm, cozy kitchen. The kitchen scene was when the father of the family sat everyone down to inform them of Executive Order 9066 and what that entailed. 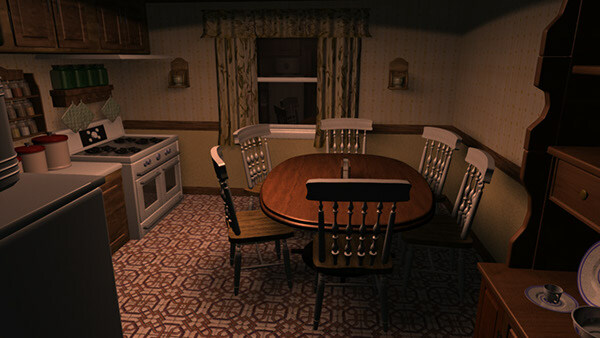 The kitchen scene was based off my family's kitchen at home, same wallpaper and furniture arrangements. There's supposed to be an opening next to the stove to lead to the laundry room and another opening into the dining room where the chine cabinet is. But I redesigned the kitchen, so that it looks as if you're backed into a corner and there's no escape. When you were told about the Japanese Evacuation, I wanted that 'trapped' feeling. Going back to this scene two years after the film was presented, I decided to update the models and textures. Many students and faculty praised by background scenes and so I wanted to touch up on them. I added a new tile floor, new chair textures, new walls, spice rack actually has variation of spices in the bottles, changed the curtains, added wall planters, re-designed the ceiling cabinets, drastically changed the stairs, and so on. Wireframe/Occlusion pass hybrid, with a final render turn table. This was in the production stage. 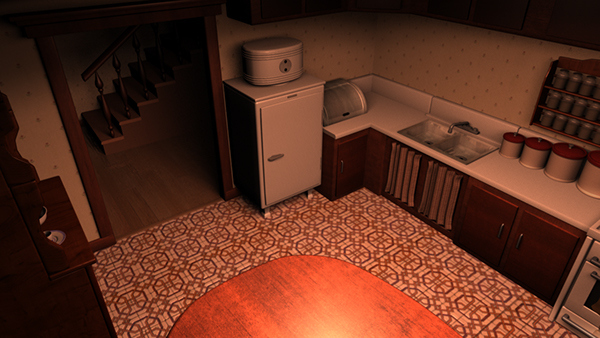 Not much textures, the ceiling cabinets don't go around the corner, and the old wall paper and floor tiles. This was the final scene for presentation at the time. The timestamp is May 7, 2010. I had a month to make any changes to the film, before the second showing, so other than sound issues, I decided to do more for the kitchen. 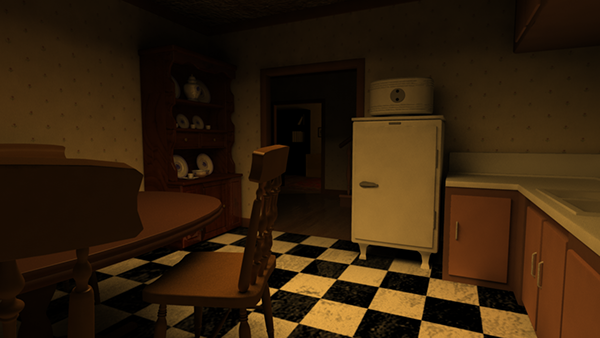 This is the more up-to-date version of the kitchen scene, though a few more changes took place these days. I also toned down the saturation and lighting, to not make the scene so dramatic. Alternate angle, showing the updated chairs and walls. "Yano Family Kitchen", scene two of my senior thesis project at SVA.